Which city is the most fun? 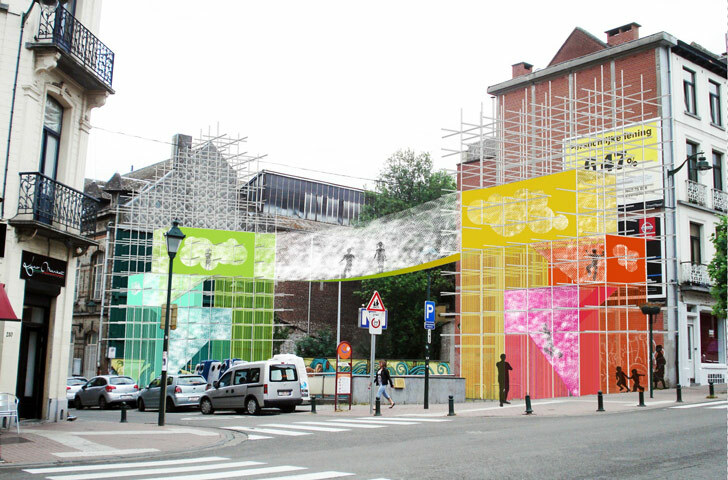 Charity organization Building Trust International sought to answer this question, and they have just released the winners of their international competition “PLAYscapes.” Over 500 professional and student architects and designers from around the world proposed ideas of how to take redundant city spaces and transform them into imaginative playgrounds for children and adults alike. 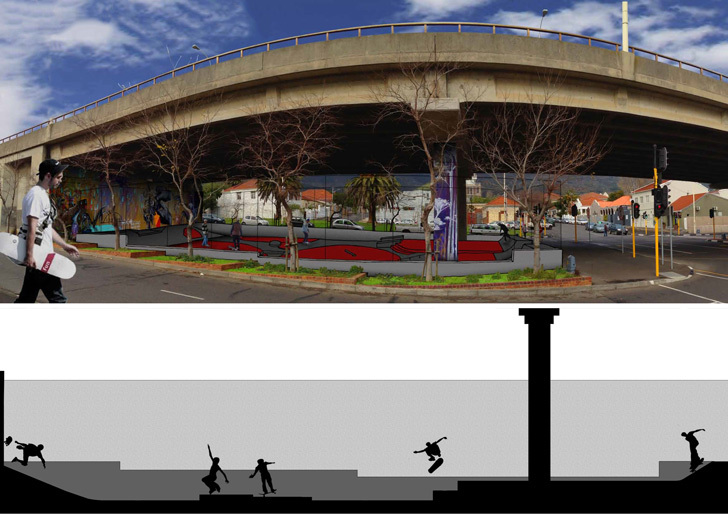 A multidisciplinary team from Cape Town, South Africa have won with their proposal to turn neglected space around existing infrastructure into skate parks. Click through our gallery to see the other brilliant designs. The team of Gerrit Strydom, Lwandile Gcume and Aline Cremon from the City of Cape Town, Errol van Amsterdam & Marvin Fester from C2C Consulting Engineers with Skatepark design by Clive Crofton of Spyda Ramps won the professional category for their Cape Town Gardens Skate Park. This design’s intelligent re-use principals transformed an underpass into a community led skate park. This competition requested a level of community participation in the design, and this team rose to the challenge. “The potential for this project to become a flagship in regenerating other areas in both Cape Town and other cities is exciting and we look forward to helping realize the project over the coming months”, commented Building Trust International founding partner David Cole. The winning student entry was “Bring a Pal and have fun” by a team from Lusiada University in Lisbon, Portugal. The aim of the Building Trust International competition was to inspire creativity for how the global community can transform every inch of our cities into fun places for interaction and play. It has been found that there is a continued lack of creative spaces around the world for children and adults. The regeneration of our cities, often led by wealth-driven developers, should not only seek increasing value but also seek an increase of human well-being. Why not allow people to get involved in expanding their imagination and experimenting in new things? The winning student entry was “Bring a Pal and have fun” by a team from Lusiada University in Lisbon, Portugal.